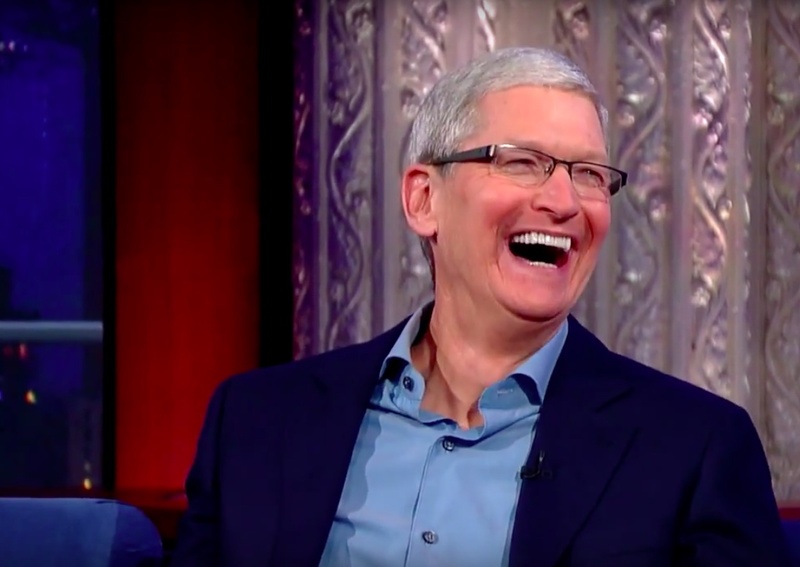 Ever wonder how much it pays to be the CEO of one of the world’s largest companies? About $10 million. 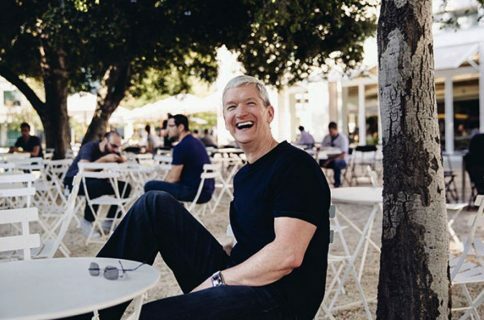 On Wednesday, Apple submitted a new SEC filing showing that Tim Cook’s total compensation for fiscal 2015 was $10,281,327. Broken down, Cook received $2 million in base salary, $8 million in non-equity compensation, and $280K in “other” compensation. Note that this doesn’t include the $50+ million in awarded Apple stock that vested for Cook this year. 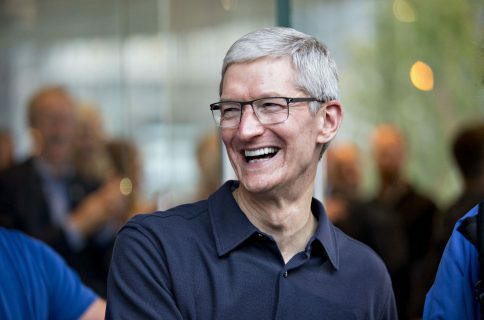 Additionally, Apple’s compensation committee felt that Cook’s performance in 2015 (where the company recorded $233.7 billion in sales) was good enough to earn a raise. In 2016, he’ll receive a $1 million annual salary increase to $3 million. As for others on the executive team, CFO Luca Maestri, lead council Bruce Sewell, Dan Riccio and Eddy Cue all earned more than $25 million during 215. 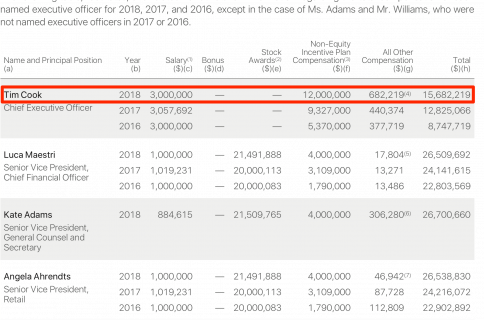 Notably, SVP Angela Ahrendts made the most this year—$25,779,229 in total compensation. As usual, Apple did not mention Jony Ive in the SEC filing, keeping his compensation a total mystery.